The housing market was on fire in the early 2000s before it eventually burnt to a crisp. This led to rampant speculation and greed as a larger group of prospective home buyers emerged. Unfortunately, because home prices had increased so significantly, many would-be borrowers were forced to go “No Doc” in order to actually qualify for a mortgage. Whether that’s really qualifying is a question for another day, or perhaps just too enigmatic. Anyway, the term “No Doc” is usually defined as no income, no asset, and no employment verification. Some silly loan officers refer to these types of loans as NINJA loans, with the “J” representing the word job. It doesn’t mean the borrower doesn’t have a job, it just means the lender doesn’t ask any questions related to their employment. So in essence, the borrower could potentially be unemployed. And that might explain a lot of the trouble these loans eventually caused. Essentially, all the borrower must document with a no-doc loan is their credit history (in the form of a credit report), and the bank or lender will use this alone to determine if they are suitable for home loan financing. Sound scary? It is/was. If you’re wondering whether this type of mortgage lending is risky or not, look no further than the recent mortgage crisis that ensued around 2008. Tons of mortgages leading up to the crisis were no documentation loans, and as long as the borrower had semi-decent credit, they could generally qualify for a loan, even a jumbo loan! Yikes. While I don’t know the exact number, I wouldn’t be surprised if no-doc loans held a majority for some time in 2005-2008. Basically everyone just went no-doc to avoid the trouble, even if they could verify income, assets, etc. Prior to the crisis, there were a large number of Alt-A lenders and subprime banks that offered “No Doc” mortgages, but pretty much all of them shut down as a result of the downturn. While no-doc loans were readily available, the pricing adjustments were often enormous, and the loan-to-value (LTV) and combined-loan-to-value (CLTV) restrictions typically limited the amount of financing a borrower could obtain. Most banks and lenders only offered financing up to a CLTV of 80% if you could only provide “No Doc” documentation. However, you could tack on a second mortgage from a different lender as well and still get to 100% financing! If you were refinancing and had enough equity in your home, you may have been able to take out a mortgage using a no documentation loan while avoiding any associated pricing adjustment. Typically, this threshold was set around 65% loan-to-value (LTV). The thinking here was that a borrower with that much home equity wasn’t a threat to the bank, even if they couldn’t keep up with mortgage payments. After all, if the bank had to foreclose, they could still sell the home for a profit. These days, you’ll be hard pressed to find a no documentation loan, but if you do, it will likely call for a high FICO score, typically above 700. After all, if the lender only has credit to go on, they need to ensure you’re not a huge credit risk. Remember, they won’t know anything else about you, so lending to a relative unknown with bad credit wouldn’t make much sense. And keep in mind that the pricing adjustments for “No Doc” will be extremely high if the loan-to-value is 80%, often about two points to the rate. So if the lender offers a par rate of 5%, the documentation hit alone will drive your interest rate up to 7%. Then there are other adjustments to worry about as well. Your final interest rate would be 8% for your “No Doc” mortgage. Ouch! It may be advisable to hold off until you can provide a better level of documentation to open up your loan program options and keep your mortgage rate at a reasonable level. Of course, if you really need to purchase a home, or are in dire need of a refinance, a no doc loan may be your only option. And ideally you can refinance a short time later to receive more favorable terms. This is all the more reason to properly prepare yourself for a mortgage by keeping your credit scores in good shape, setting aside assets, and maintaining steady employment history. Tip: You may also want to consider a stated income loan, which come with far smaller pricing adjustments, yet increased flexibility in terms of qualification. They are becoming a lot more common again and could still suit your needs. Looking to borrow 150K against my house valued at 350K with no mortgage. Looking to pay off credit cards, pay income tax bill, and restart a business that I was in for 15 years. Looking for no doc loan. Because the loan-to-value is very low, around 43%, you might be able to qualify for such a loan somewhere, perhaps with a non-QM lender. If you’ve got a good amount of assets you might be able to use them as qualifying income for a loan. This is known as asset depletion or an asset-based loan. You could contact some banks/brokers to see who offers these types of loans and if you’re eligible. Here are my particulars. My parent’s trust made my three sisters and I owners of a townhouse in Florida, valued at 1.45 to 1.65 million. I have the opportunity to buy it from the trust for 1.1 million. I have a contribution towards the price of approximately 830,000 dollars. Therefore needing somewhere in the neighborhood of 250,000 to complete the purchase. It would seem this would be an easy loan with not a lot of documentation since the value of the property far exceeds the loan amount. (the estate owes me the 830,000 850,000 dollars. But because I am retired and don’t have a lot of income (at present, I have trust and group real estate investments) I don’t seem to have enough income to satisfy the lenders. I have a 700 plus credit score (as high as 780 on consumer score), and have always paid all my mortgages and bills on time, and would continue to do so with funds I have. Is there a way to do this? Maybe an asset-based loan that uses your assets to qualify. There are Fannie/Freddie programs and portfolio lenders that offer such loans. I was living outside the US for 2 years (not making any money). I just came back in Jan, I have a job, $25,000 saved and a Score of 730. I want to buy something of around 85,000 but I’m afraid my short employment history will make that difficult, that’s why I’m into the whole No-Doc Loan. What are my options? Thanks! You might want to look into the non-QM route, which is basically loans that don’t fit the agency guidelines. There could be something out there for you. 5. Viability of a no doc refi? If you’re just doing rate/term at that low of an LTV it may be possible with some portfolio lenders. Only way to know is to shop around, likely at non-QM lenders. Looking to purchase a new home ($400K). Self-employed (less than 2 years). Own current home ($325K) plus savings, retirement, etc. Would prefer going with a no-doc option over a cash-only transaction (which would require the sale of my current home). Suggestions? Like I’ve mentioned to others, you may have to work with a non-QM lender that specializes in unique employment/income situations. Thx. Appreciate the quick turn. Not sure about no doc, but maybe limited doc. But you might still have to worry about owning two units in the same complex, if it’s a small complex and there are restrictions on ownership. I am looking for a no doc re-finance loan for a divorcee friend of mind with two mortgages ( a second at 16% she says taken out many years ago). She is from another Country. House is worth about $500,000.00 and the amount owed is about $250,000.00 .. The property is in Massachusetts. She ran a small business and sold it a while ago and now needs to beat down that monthly mortgage payment to a reasonable amount. Any suggestions would be greatly appreciated. Don’t know anything offhand, but as I’ve told others, non-QM may be the place to go. There might be an option that uses the rental income from the property to qualify, but LTVs may be limited to 80% or lower. Shop around. I am a disabled veteran (40%) and I just quit my job that I had for 3 years in order to take a higher paying job in the same field. I want to buy a home through the VA for $210,000 with a FICO around 660 and no money down. What are my options since I have not been at this job for 2 years or longer? Same line of work might be fine…it’s when people start a whole new career with limited history that it can be an issue because lenders don’t know how to gauge it. I am currently unemployed and i have only $2,100.00 per month i get from an investment. my home worth $400,000.00 and my balance is $75,000.00 and my current interest is 4.75 %. my credit is good and i don’t think i can qualify for a regular loan to pay my loan balance i owe and get $25,000.00. cash. what do you think i can do? Maybe look into the non-qm route, which includes no doc options. The upside is your LTV is very low. You might be surprised what you qualify for, not sure the SE income is the issue unless it’s short-term…the problem might be the BK six years ago. In any case, shopping around to see what’s available will answer your question. A broker might be a better route because they can look at a bunch of lender programs at once to see if you fit. Need a $365K loan. My Primary residence is tax assessed at $900K. Had a “released” Lis Pendens foreclosure this year as I was seriously ill in hospital for 6 months (mtg is current). As a result, my credit dropped to the mid 500 range. I own a commercial building free and clear worth $500K. I’m self employed and write off MANY expenses. Really need a no doc loan at a VERY low loan to value ratio. I’m in NJ and can’t find any? *Thoughts??? As I’ve told others, non-QM lenders seem to be the only game in town for stuff like this. Looking to borrow 15 to 18 thousand dollars. Me and my brother own a home, property tax appraisal is $110,000, I have been self employed for 20 yrs. No proof of income, do i have any options? I forgot to mention I have no credit. Self-employed borrowers can get mortgages, it’s just a bit more scrutinized because lenders can’t just ask for your W-2 and be done with it. It usually just requires a bit more paperwork, not a specialty lender of any kind. Ive been in business for 30+ yrs. I have a cleaning service, residential, commercial, new construction. I’m well known in my area. I haven’t filed taxes in a few yrs. Can I get a mortgage? A non-QM lender might have a bank statement program, but with no tax returns filed at all that could be pretty difficult. followed the best rule of thumb, I have the least expensive home in the most expensive neighborhood, comps out around 275-290k. Price of home, $229k. I am heart broken… I don’t know what to do. No I do not have reserves yet. I have worked hard to get where I in two years, through thick and thin, I never missed a house payment, I am now, on the cusp at 45 of a business taking off, a wonderful accountant that is structuring things for me, a great staff, finishing my education, brought enough clients to go from 0-260k gross revenue and exponentially growing, never took a loan, started everything myself, paid myself and worked worked worked. I was excited to honor my word, follow through and for the first at my age, own a home. I go to bed with my closing date and approval, woke up with my denial ONLY DUE TO LACK OF PERSONAL ASSETS? Ummmm, they must not realize how I could sell ONE MACHINE and make a payment, layoff off one worker and do labor myself for one week and pay my mortgage!!! 3. Lets see how much I can sell, not in my house, but what I could finagle in two seconds to pay my house because if you do not have your home you have nothing!!!! So that’s it!? I am. screwed? My integrity? My hard work? My dream? I lose my home? Demonize over education due to loans that are in deferment, although I have a plan to pay them off quickly next year. Demonized for NOT GOING INTO DEBT to open my business. I paid off ‘old baddies’ from past divorce, had them deleted, but none of that COMPENSATES…..
MAYBE YOU OR SOMEONE can give me a piece of wisdom. I am ready to lose it. I get all the rhyme and reasons. I watch the market, I watch the trends, I watch rules, regs, believe me. WHERE IS THERE GRACE FOR SOME! Unfortunately, reserve requirements are a necessary evil for most mortgages to ensure borrowers can actually pay back the loan. Even the most well-paid person out there will still likely need to document reserves to satisfy this pesky condition. Hopefully you can find a way to move forward. You may want to ask your loan officer if there are some creative solutions or exceptions. Good luck! i have my all proper documents of ny property. but no income proof…. 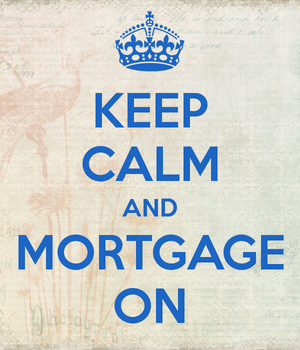 i want a mortgage loan as soon possible…. You may want to reach out to a broker to see if there is a no doc solution for you, perhaps something based on bank deposits or assets. I have average 745 fico. Only about $300 debt (only have it so I have payment history). Why is the system so stacked against self-employed people? When filing for assistance, they want gross income before deductions, when doing mortgage, they want AGI after deductions… too many standards. I want to purchase a new home valued at $355,000. I have $270,000 down payment and a 810 credit score, and a little over $100,000 in assets. However, at this time I am not working, have been up until Aug of last year, and plan on working if an when I move to a different state. So, far, traditional lenders won’t lend to me. What are my options? Sounds like you either pay all cash or you look for a non-QM lender that is willing to overlook the employment gaps. If you have an explanation for the work issue, that may help as well. But it’s tough to get a mortgage without a job unless you have a ton of assets. Why would having a good FICO score add .5% to your interest rate? That makes no sense! In the example I just wrote FICO score, with no reference to an actual number. I’ll use 680 for it to be clear that our hypothetical borrower could get hit for having anything less than good or excellent credit as well.